Season 3 of OWN's hit megachurch drama Greenleaf will premiere on Tuesday, August 28 and Wednesday, August 29 at 10 p.m. each night. The drama-filled season will feature guest stars including multiple Emmy, Golden Globe and Grammy Award-winning actor Beau Bridges (Homeland), who plays Bob Whitmore, the folksy and charming founder of Harmony of Hope Ministries - a massive denomination with churches all over the world - who will use any unsavory tool at his disposal to win. Iyanla Vanzant, six-time New York Times' best-selling author, acclaimed spiritual life coach and star of OWN's popular Iyanla: Fix My Life, portrays herself helping Charity (Deborah Joy Winans) finally find her place in the Greenleaf family. Multiple Grammy Award-winning recording artist, actress, and entrepreneur Patti LaBelle ("American Horror Story," "Daytime Divas") guest stars in the recurring role of Maxine Patterson - a famous Christian motivational speaker and the CEO of a global Christian self-help empire; an old friend of Lady Mae's (Lynn Whitfield) from college days, Maxine will be Lady Mae's sounding board and greatest ally as Lady Mae attempts to consolidate her power at Calvary. In season three of Greenleaf, all the turbulent forces that Grace's (Merle Dandridge) return to Memphis unleashed threaten to destroy not just the church her family built, but the family itself. 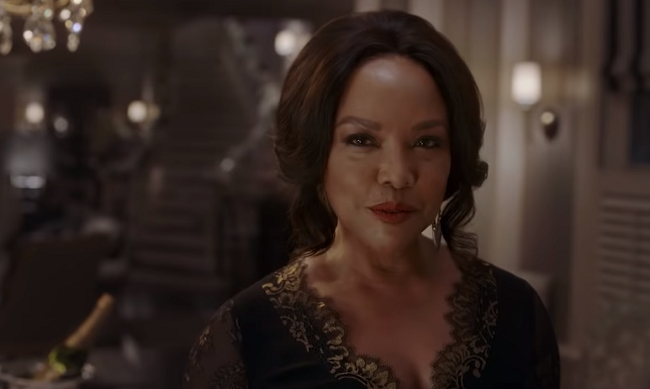 Fallout from last season's shocking revelation of Bishop's (Keith David) infidelities with Lady Mae's (Lynn Whitfield) sister Mavis (Oprah Winfrey), as well as reverberations from his current dalliance with that insidious Jezebel, Rochelle Cross (LeToya Luckett) lead to all-out war in the Greenleaf home, setting the Bishop and Lady Mae on a collision course that, unless God or Grace intervenes, can only end one way: divorce. In the wake of the marital mayhem, Lady Mae rushes to reconnect with Maxine Patterson (Patti LaBelle), an old friend and now a world-famous Christian motivational speaker, in an attempt to reclaim her forsaken call to preach and thus do what no First Lady has done before - survive as the sole head pastor of a megachurch after a major rift between its founding couple. Grace, meanwhile, works undercover in the company of Rochelle, hoping to discover Rochelle's motives and true identity before the Bishop is swept away on a raging river of vanity and desire. Across town at Triumph, Jacob (Lamman Rucker) and Kerissa (Kim Hawthorne) try not to make the same mistakes Bishop and Lady Mae made as they work to build their own evangelical empire and manage parenting their teenage daughter Zora (Lovie Simone), but the roots of sin delve deep and old habits die hard. Sophia's (Desiree Ross) faith is tested when an unforeseen medical issue arises; Charity (Deborah Joy Winans) struggles to make peace with Kevin (Tye White) and find her place in the world; and Grace works to keep an abused woman from death row for the crime of defending her own life. Meanwhile, Darius (Rick Fox) finds himself in conflict due to being entangled in an increasingly strained relationship with Grace. Last season, Greenleaf was Wednesday night's #1 original cable series for African-American women and averaging over 2 million total viewers in Live+3.